Helps you to bring love and light into your life. Hello my name is Donna Healy. Allow me to help you to bring love and light into your life. At this present time a lot of people are having trouble in their lives, as we are in a great shift in consciousness. I can assist you by helping you to adjust, re balance, clear old patterns and pain. We can do this in a safe relaxing space raising your vibration, in turn bringing about optimum health and happiness. My journey into natural healing began in my mid 20s . I was stuck in my personal life and traditional treatments weren’t helping. I had chronic pain and was desperate for answers , I knew there must be more I could do to help myself. In 2004 I turned to natural medicine and discovered an alternative therapy called Reiki, I was so happy with my results I studied this healing modality and am now a qualified Reiki Master. On my journey I have also discovered other tools to assist healing myself. These being Crystals, Bach Therapies, Meditation and Holistic Counselling. I have studied and became a Crystal Light Healing Practitioner, Bach Therapist, Meditation Teacher and Holistic Counsellor. In 2007 I completed my Diploma in counselling. Thanks to these beautiful tools I am now the happiest and healthiest I have been and would love to share these things with you allowing you to also live in this divine happiness . Reiki is a non-invasive, gentle yet powerful method of energy healing. Reiki enhances the body’s natural healing ability and promotes well-ness. Reiki was developed by Dr Usui a Japanese Buddhist in 1922. Reiki is a special kind of life force (energy) that can only be channeled by someone that has been attuned to it, this person is called a channel. This healing fixes disruptions in our energy field and allows life force energy to flow in a natural and healthy way. Reiki is a therapeutic modality that benefits people on subtle, emotional levels as well as in their general physical well-being. We are alive today because life force energy is flowing through us. Life force energy flows within the physical body through pathways called chakras. It also flows around us in a field of energy called the aura. Life force energy nourishes the organs and cells of the body. When this flow is disrupted it causes diminished function in one or more areas. Trauma, emotional, mental stress, false belief systems, physical distress, environment stress and other blocks to our personal growth can be stored in the energy fields of our bodies, making it hard to function at our full potential. Reiki healing facilitates the healing process by clearing blocks in the energy fields, repairing and re balancing the energy so that the body can move to its optimal level of balance from where it is able to heal itself. 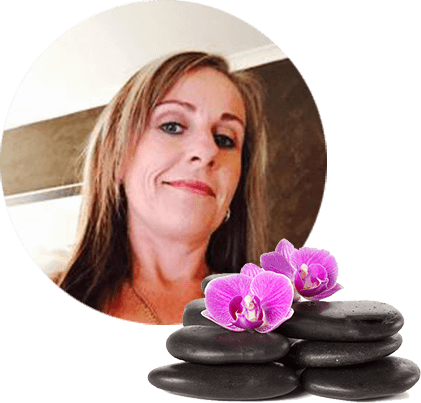 I am a qualified Reiki Master and a member of the Australian Reiki Connection Membership number: 2068-AM-VIC-16085. If you feel you would like a healing or would like to learn this beautiful modality please feel free to call, message or email me for further information, I would love to hear from you. Through the channelling of life force energy, Reiki has the capacity to heal every aspect of the body, on the physical, mental emotional and spiritual level Here are some ways Reiki can help you. Wow are my words to describe these beautiful tools we have to assist us. We have crystalline in our make up hence crystals work by affecting our vibrational rate, bringing us to better health. I have always had a interest in crystals. I knew I was attracted to them but I didn’t understand why. I started researching and doing courses. I studied and completed Crystal Light Healing and I am now a Practitioner. CLH is a sacred crystal healing technique. The work crystals do amaze me, what I see in my personal life and the work they do to assist others in my healing treatments. Crystal Essences are available for purchase $25. Crystal essences have been used for years to heal. Each crystal has its own unique vibrational frequency. Crystal essence drops work within the cellular matrix to reach the person’s body on a very deep level. This alters their cellular vibrations which harmonise the bodies makeup. Being in this harmonised vibration brings about Happiness, Love and Joy with ease. Continued after treatment, this helps to maintain the level of healing. Crystal Essence & Aromatherapy Spritz Bottles are also available for purchase for $25. These sprays are used for clearing negativity in your personal space, lifting the vibration. Bach flower Remedies are solutions of flower material, brandy and water. These specially chosen flowers contain healing properties, which work on a vibrational level. Dr Bach was a medical doctor, bacteriologist and homeopath. This safe and natural method of healing was discovered from 1920 to 1930. Bach’s Flower remedies are safe for adults, children, pets and plants. They work by powerfully but gently restoring balance between mind and body. By taking the prescribed Remedies we will bring about balance and harmonious vibrational patterns. These magical essences move us from stuck frames of mind and uplift us. I am a qualified Bach Therapist, I make personal blends to support you to wellness. Personal blends are $20, $15 if incorporated into a treatment. ​Healing sessions are about bringing you back into balance and raising your vibration. If our vibration is unbalanced we feel low, get sick, things are hard, life can be stressful. It can be trauma or simple things that cause these blockages. Our voice, thoughts and feelings send out vibrations, the higher positive clear vibration the happier and healthier we are. I can help remove these blockages balance and raise your vibration, with the assistance of Reiki, Bach Therapies, Aromatherapy and Crystals, bringing you to a state of wellness helping your body to help itself. Positive affirmations, good eating and clean living will assist with maintaining this higher clear vibration. I allow around an hour for a treatment this may extend beyond that. This treatment is not hands on. During this treatment we shall discuss the reason for your visit and decide the best methods to use. Reiki is where my healing work began. You can choose to have a Reiki healing, a Chakra Balance or DNA Activation, the choice is yours. You may also like to use some Crystal Essences and or Bach Therapies to help you along the way. I suggest that you have 3 treatments consecutively to bring you to a state of wellness. Then whenever you feel you need to keep you in this space of wellness. I use a combination of modalities in these treatments being Counselling, Reiki, Crystals, Energy Spritz, Aromatherapy and Bach Therapies. Healing sessions are priced at $80 for an hour session. Concession is $60 an hour. Appointments are available Monday to Friday 10am – 7pm. Saturday’s 9am – 2pm. I also do distance healing sessions. These sessions are done at a prearranged time. Your session will begin with a phone call, email or text. Then we proceed with the energy healing 30 to 40 mins. Finishing with a phone call text or email to discuss your treatment. These sessions are also priced at $80 an hour and $60 for concession. Sessions must be paid prior by either bank transfer or paypal. Holistic Counselling addresses the whole person and takes into consideration all the different aspects of a person’s life. A happy life is about balance, it is essential no area is neglected. I love this system of counselling, it allows me to work with people as individuals and guide them to feel self empowered and positive about creating a life they truly want for them-selves. Holistic Counselling sessions are $80 an hr. Meditation is a peaceful practice that people from many different cultures have been practicing for centuries. Meditation is a personal journey and is a beautiful experience of really settling yourself, bringing about peace and calm to the mind, body and spirit. Science has proven regular meditation practice helps improve our health on many levels. Some of these health benefits include, Reduction in stress levels, Controls anxiety, Promotes emotional health and Enhances self awareness. This Beginners Meditation workshop is for people wanting to learn meditation or people wishing to get back into meditation. Reiki level 1 training is the entrance level into this magical modality. This workshop runs over 2 days. This workshop is suitable for people with intermediate to advanced meditation experience. Donna is great at what she does always welcoming with a smile and pleasant to talk to. I went to donna at the end of last year to try fall pregnant , we had tried for 2 years and within 5 visits to Healys Natral Therapies I fell pregnant ! and we couldn't thank donna enough for her help. I have also recommend her to friends and family.